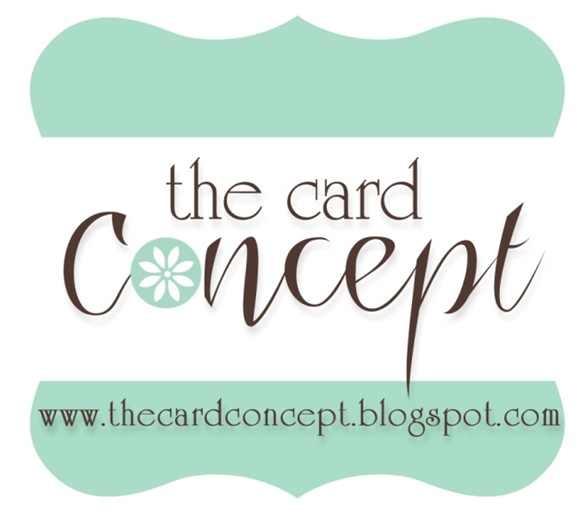 Karen Creates Cards: The Merry Monday Christmas Card Challenge # 83 - Use Stripes, Red, Chocolate and Stars or Hearts on your card. 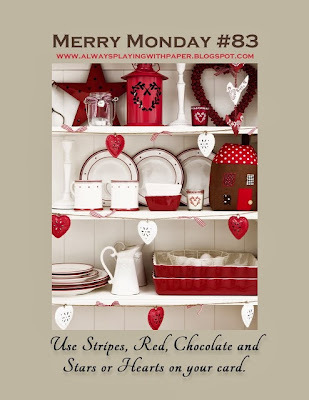 The Merry Monday Christmas Card Challenge # 83 - Use Stripes, Red, Chocolate and Stars or Hearts on your card. Eeeek!! I am running late. Posting is at 2am New Zealand time now. I was engrossed in work and wasn't watching the time. Sorry! Thank goodness the post was mostly written. The cards for the last challenge were all totally amazing. You really are a talented bunch. .................... and this is what it immediately brought to mind. Hanging dried flowers! I do not come up with an idea that fast EVER!! The instructions do say 'stars or hearts', but the end of the wood rail was just asking for some wee hearts, I did try other things, including wee stars, and leaving it bare. Ink: Versafine Black, brown and red, Distress ink edges. Other: Glitter Donna Salazar, white gel pen Stitching line, twine, pearls buttons. Here's the card before the stripes were added. I do love this version too. Thanks for dropping by....see you next week. what a lovely design! love the hanging stems and the sweet cluster of hearts! Gorgeous! Love the way you used the flowers! Just popping on over to say what a nice card love your take on the inspiration . ! Gorgeous! Love the hanging vines/flowers! Such a beautiful and creative arrangement! I did the same thing. My first card didn't have a stripe on it and I had to start over. I love both of these and think the stripes add some pizzazz. Love the little bitty hearts and the hanging flowers! But that gorgeous bow takes it over the top! Have a great week! Stunning card, Karen! All the little embellishments you've used are all perfect for this card. Wow this is gorgeous! I love both versions. The rustic look is absolutely beautiful! Love, Love your card this week Karen, I have been admiring it since you posted on the DT blog. The spray of flowers are lovely, I never would of thought of flowers. Simply gorgeous! WOW,i love everything about this card!! Beautiful colors,beautiful design...awesome!! Karen this card is just stunning! I love the striped version the best. the cluster of dry flowers is such a cool idea. Such a beautiful card, Karen. I vote for the striped version Karen - LOVE the spray of hanging flowers! This card totally reminds me of mistletoe hanging...although a different color. Love how you were able to add the stripes...This is a really well done card! This card is fabulous, Karen. I enjoy learning your thought process behind the design. The trio of hearts adds just the sweetest little touch. And like most of the others, I too prefer the stripes. I think they add some great contrast. Beautiful cards Karen,I love the bundle of elements they are so pretty. This is stunning!. Just popped over from Always Playing with Paper. Love the combination of elements. You are a very talented lady! Wow, Karen! This is a great design, love the colors together, and all the elements you used. You have a very inspirational card here! Thanks so much for leaving love at my blog recently. :) Too kind of you!